All services and meetings for January 29th, 2014 are cancelled for tonight due to weather. 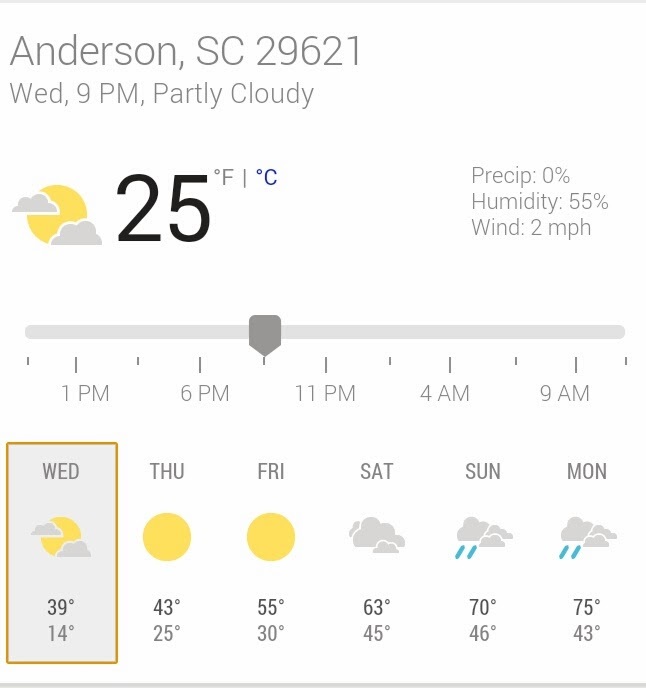 There is still water on roads and our parking lot that will refreeze as black ice tonight before and during services. If you know someone that does not have access to this please give them a call and let them know of this cancellation. God bless and we look forward to seeing you Sunday! 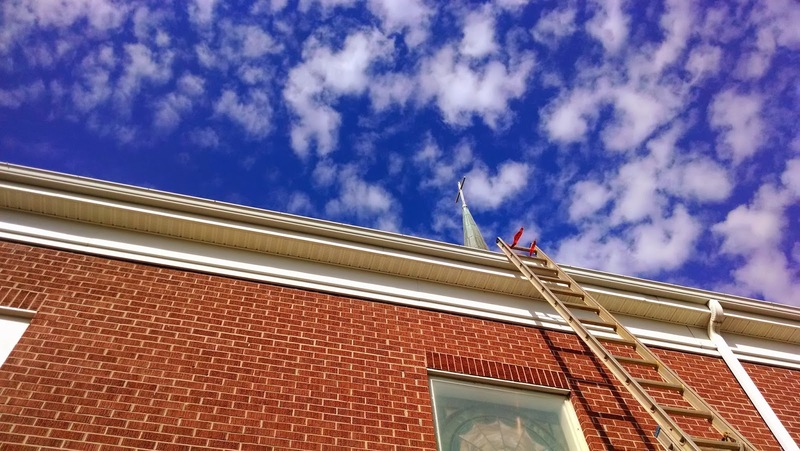 We would like to give Thomas Keaton a big thank you for getting fixing the lights to our steeple working again. You make working that high look easy. We do appreciate all you do! Did you notice that stores almost immediately stocked their shelves for Valentine’s day right after Christmas? 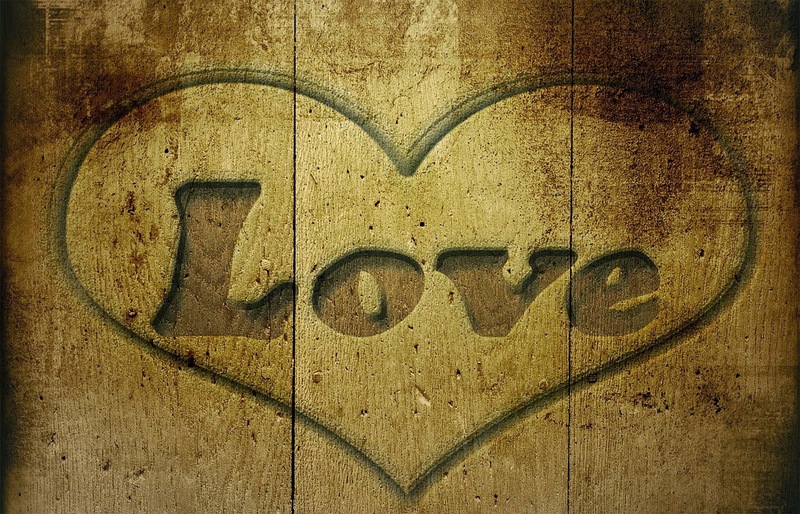 February is a month marked for love. We make every effort to let those who are special to us know that we care for them. The Bible teaches that we can love others because Jesus loved us first [1 John 4:19]. Have you taken the time lately to understand the weight of that? We did nothing to deserve God’s love, yet He extended it anyway. Though people may not deserve our love, we are called to offer it to them! Join our church family on Wednesday, February 12th at 6:30 pm in the Family Life Center. 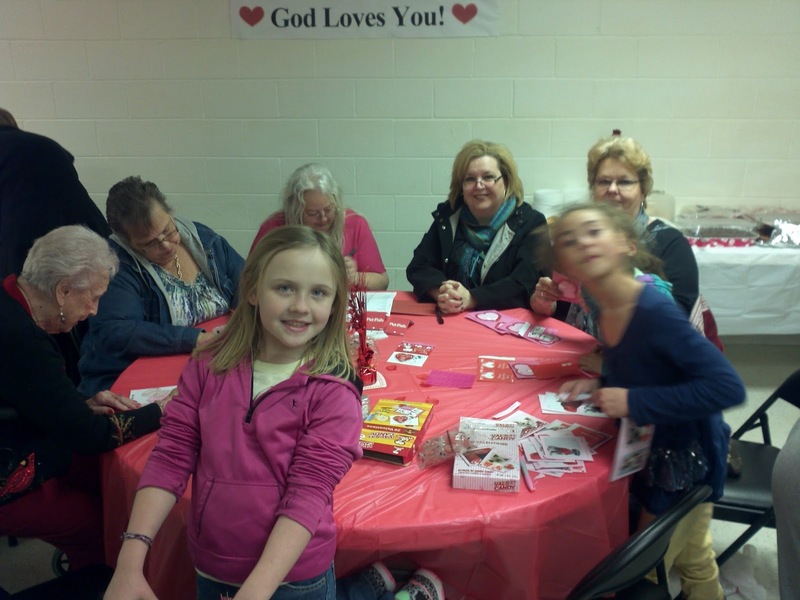 Our purpose is to bring valentine cards and gifts for our Shut-In's. This time of year can be very lonely for them, so let us share God's love with them in this special way. Also, we cannot get together without enjoying the cooking of our wonderful members. Please bring finger foods, desserts, and drinks. Let's make our Shut-In's have a Happy Valentine's day by bringing addressed valentines to them. These will be divided up and delivered on Thursday, February 14th. Last week we had a fantastic discussion about evil, suffering, and the hope the Gospel provides. This Wednesday night, we will finish this discussion with a more expanded look at the hope that Jesus provides through His life, death, and resurrection. The Family Life Center will open at 6:00. Bible study begins at 6:30 and finishes by 7:30. Invite family and friends and we are excited to see you there! Wednesday evening, January 29, we have a parent/student meeting for the youth starting at 6:00. The meeting should last about twenty minutes as we update what’s happening in the ministry and upcoming events. Bible study will start and finish at the normal times that night. The Homeland Park Youth will be starting a new study series this Wednesday night, Questions. Last week, students submitted questions and we’ll seek to address them each Bible study for the next several weeks. Our first study will investigate why evil and suffering occur. We would love for you to join us for this study and to invite family and friends to join. Bible study will begin at 6:30 and end around 7:30. The Family Life Center will open at 6:00 for anyone wanting to hang out beforehand. We hope to see you there! Wednesday night, January 29, we will have a youth parent/student meeting before Bible study. This will be at 6:00 and last about 20 minutes. We will discuss the upcoming semester, the schedule, and ministry updates. Bible study will follow in its regular time afterward. After a two week break for the Christmas and New Year’s Day holiday season, we are ready to get started for the spring semester with the Homeland Park Youth! This Wednesday night, January 8, we will have our normal Bible study and fellowship time. The Family Life Center will open at 6:00 that evening with Bible studying beginning at 6:30 and ending by 7:30. Invite family and friends to come and we look forward to seeing you there! Over the next few months, the Homeland Park Youth will have several socials, including bowling, hiking, and others. These are times for us to have fun and fellowship with one another and also for friends and family to join us. A schedule and more information will be posted as soon as all dates are finalized! 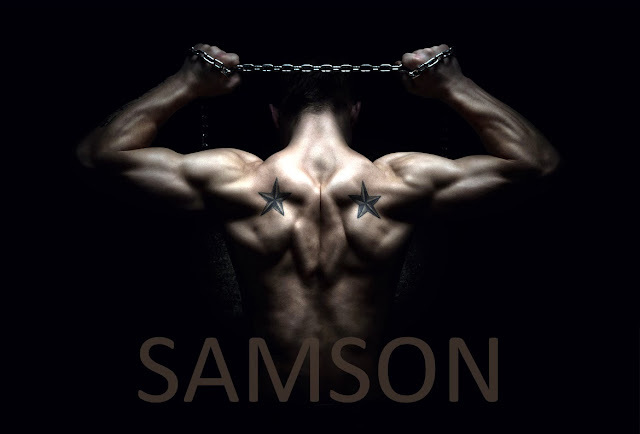 Pastor James begins a series on Samson this Sunday morning (January 5th, 2014). Many define Samson from his moment of weakness with Delilah. How in the world would he ever let her cut off his hair? There are times in our lives when we question, "How did I get here?" or "How could that have happened?" We do not need to be defined by our failures! There are warning signs along the way to protect us if we simply heed them. God has plans to make himself known and He gives us the privilege of representing Him. Take this journey with us over the next few weeks as we find our strength through the study of Samson. Be careful, your greatest strengths can also be your greatest weaknesses.